The Almond Board provides educational opportunities to help strengthen the industry overall, and to keep California Almonds the Crop of Choice. Because growers and processors are busy throughout the year, the board has made online e-learning courses available to bring the expertise straight to your office. When selecting the right California Almond for your specific need, understanding the differences between the wide assortment of almonds will help you confidently choose the right type of almond for the right purpose. 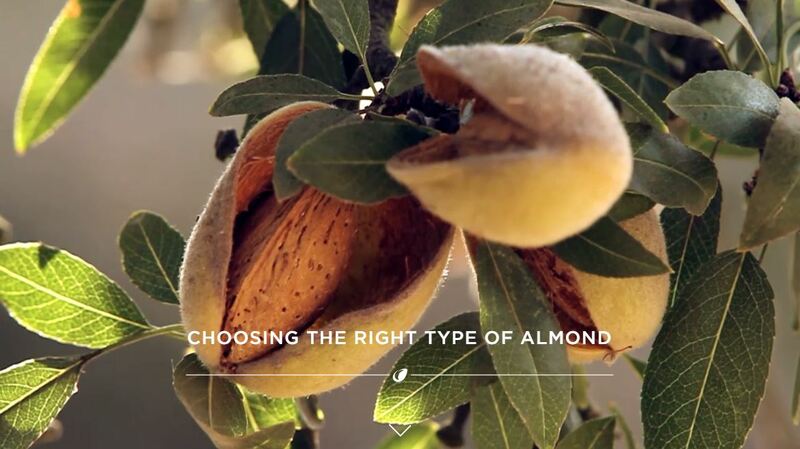 In this course, you will learn more about how the size, grade, variety and form of almonds can help you determine the right type for the right use. There are no continuing education credits for this course. Maximum Residue Limits (MRLs) established by foreign governments must be adhered to in strict compliance, as failure to comply results in lost export customers. This course will focus on understanding the MRL issue and outline resources that provide you with the most up-to-date information on pest management.This course is accredited for 1 hour of continuing education credits. This online video, provided courtesy of Dow AgroSciences, covers the latest approaches for effective insect and mite management, and how to strike a good balance between pest management and environmental regulations. The video also shares tools to evaluate pesticide VOC (volatile organic compound) emissions and surface water protection measures. There are no continuing education credits for this video. Successful almond growers and processors should know each step of the almond life cycle and the industry they work in. This online course will share the complex life cycle of the almond — from its beginning as a grain of pollen to final processing — as well as some history of the almond industry. There are no continuing education credits for this course.